Notes: This vodka is not a flavored vodka in the usual sense of a vodka where someone added a flavor (natural or artificial) as an essence or liquid flavoring agent. It is an infused vodka meaning that the vodka and the actual flavor ingredients spent some time together. Modern Spirits starts off with a base of wheat and potato vodkas at a much higher proof than what most people who are making infusions can (or even think of) get to do infusions. These are not one of those ‘Gee, I can do this at home’ kind of infusions. 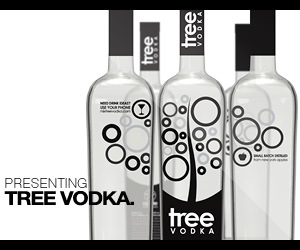 They sell this vodka and the other varieties such as Black Truffle, Celery Peppercorn, Candied Ginger, Chocolate and Orange, Pear and Lavender, available in 375 ml bottles so you and a few friends can try them straight or in drinks without committing the money to a 750 ml. An important point I think, because I hate spending money on a bottle I haven’t tried especially something flavored (as in what-can-you-do-with-it-if-you-don’t-like-it?). Although this should not be a problem due the high quality of the ingredients and finished product. Made with a blend of three different teas to achieve the complex flavor/bouquet profile. As they say in their literature it seems blended more like a perfume than a vodka (by that I mean a skillful balancing of ingredients- not an analogy to what is going on in Russia at the moment with the vodka shortages). Appearance: Bright golden color, like a young whiskey or high quality light oil , crystal clear, no sediment whatsoever (all important points – especially in a flavored vodka). On swirling, it leaves a thin clear coat on the inside of the glass with long thin legs. Wonderful bright appearance. First Impression: Sweet floral tea blend, you can pick up a vary wide palette of alcohol smell in the background,the blending of the two types of vodka base play off each other well a very round alcohol smell – no trace of off notes or the smell of rubbing alcohol that many vodkas suffer from. Really intriguing smell – wouldn’t mind (intentionally) wearing it it smell so nice. Taste: Wow. They have really captured the taste of the teas. Not only each characteristics or hallmarks of each variety but somehow the nuances of flavor beyond those that immediately identify the tea as French in origin (as far as the blenders that is). Paradoxical, almost sweet entry with lots of tea and floral tastes, then a nice lingering astringency to a long savory finish. Drinks: Was playing around with some scotch recipes such as a Blood and Sand and the Berlin Chief of Station martini quite wonderful . If you think of it as a more floral (even than a Highland) scotch you can’t go too far wrong. Their recipes represent a new way of thinking for many people as to the integration of a cocktail as a organic component of a meal, not a before or after separate component of a evening but the pairing and enhancement/amplification of a dish. Bottle: Brilliantly clear glass,tall rectangular with rounded edges and heavy decanter type base bright modern label makes them easy to find on a shelf. 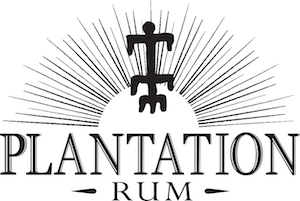 Final Thoughts: My final thoughts on the economics of spirits run a bit long so I am going to put the longer version on my blog. Short form is this is a outstanding handmade product that should be accorded the same respect as any gourmet ingredient. Yes, it is pricey compared to lesser vodkas, but if you are serious about your food ingredients you should be just if not more so about what you drink or pair with your food. There is a distinct difference between a quality artisanal product and something that is just expensive for the sake of cachet. Well laid out site, excellent recipes (the food pairing ideas and dinner examples are quite outstanding) , lots of information on the different products and possibly most importantly how to get hold of them – which is something we always appreciate.